Twelve days ago (Yes, I counted), I said that I was going to attempt to read a book a month to get myself back on track with reading and dust off the books that have gone untouched on my bookshelf for a few years. I wanted to finish the book I was currently reading by the end of the month, deeming it my January Book of the Month. I can happily and excitedly say that last night at about 11 o’clock , I finished that darn book I’ve been reading since the Fall! 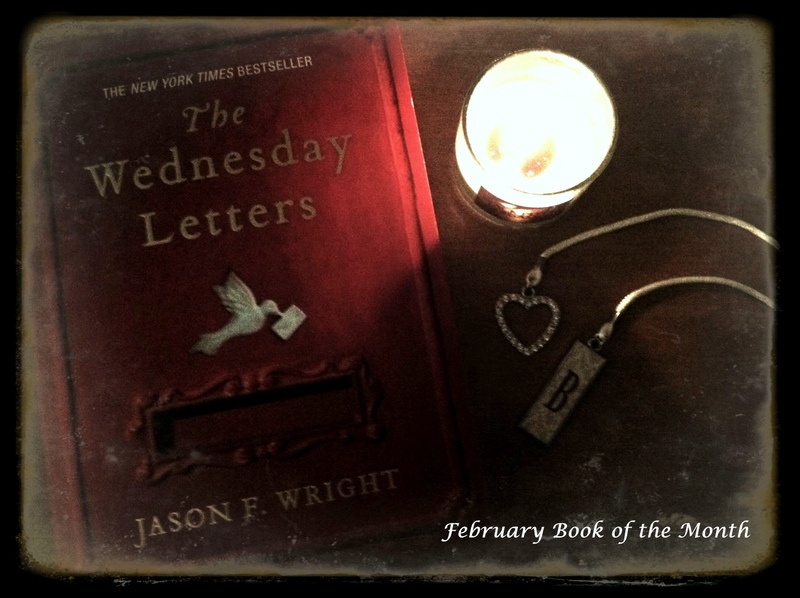 Now I can breath a sigh of relief and announce my February Book of the Month: The Wednesday Letters. I thought this was a great book to read during the month of love, and inspired me to use my heart monogrammed book mark. Book Description: Their story begins with one letter on their wedding night, a letter from the groom, promising to write his bride every week—for as long they both shall live. Thirty-nine years later, Jack and Laurel Cooper die in each other’s arms. And when their grown children return to the family B&B to arrange the funeral, they discover thousands of letters. I read this several years ago! OMG I loved it!!! Great choice! Aww, yay! I’ve actually been to the town it talks about, years ago though – Woodstock, VA. It’s just a few hours away. It’s a cute town. I like how this book is centered around the state I live in. I know exactly where he’s talking about!